Let's go through the key steps that you need to follow when creating a network marketing blog, some of the things you need to think about, and then, what you need to do to build your brand online with the blog, so that you attract possible business builders and possible customers to your MLM business. There are some common pain points that I experienced personally when I first got started out online, when I was first getting into mlm blogging. I started to blog way back in the day after seeing a gentleman by the name of Ty Tribble. I stumbled across his content online. He was kind of, the very first inspiration for me getting started in the world of internet network marketing; to help build my network marketing business. It was an immense struggle. Started a network marketing blog. I thought it was all going to pan out and work like magic, and it turned out to be just a massive headache. The graphics and the design were poor. My content was really good, but nothing else worked. I didn't get any of the things that you really need in order to be successful as a network marketing blogger, because, let's face it, there's only a few skills that you really need to master to be successful as a network marketer, but having leads is one of them, okay? Now, if you generate a lead, one of the other things that you need to be able to do is get their phone number, follow up with them, invite them, and then, follow up with them. Those are all phone skills. I have not met one single person, one single leader in the industry that has built a massive organization in network marketing without picking up the telephone. Not a one. And anyone that says to you otherwise is not in networking marketing. They're doing some other deal. They're doing affiliate marketing. I don't know what it is, but they are not doing network marketing, because network marketing requires you to invest time in people. It requires you to train people and help those people. You're not going to be able to do that sitting behind a computer screen. You need to be able to get on the phone at a minimum. A good buddy of mine by the name of John Abbas, who runs a company called Nemo Pro, he does live webinars weekly, if not two or three times a week, to plug new people into his webinar to sell them on his primary opportunity. He's got a big organization, 7,500 plus people. They're inviting all the time, bringing people to these webinars, okay? He gets on the phone, he does these webinars. He does these presentations. That's part of the deal. Now, does he do them in hotel rooms? No, he doesn't do that. He runs his business primarily on the internet, but he is investing real time in people. There's a couple things that go into that. One is the design of the website. Is the design first class? Are the graphics first class? Because if they're not, then the person's going to turn around and walk away. That was the experience that I had with my first website, my first blog, okay? Things turned around dramatically when we launched our second site, which is now, unleashing now, the network or what you see today. We can pretty much throw up any lead magnet and generate any number of leads we want, generate quite a few sales on the website. We've done incredibly well with it. But, that's primarily because it has high design. It has first class design. When you interact with the design on this website, you get a feeling of, this person knows what they're doing, right? You need to put your mindset into the mindset of the people that are visiting your site. How do they feel? How do they think when they interact with content on your website, when they interact with pages on your website? If that feeling is a feeling of professionalism, then you're going to be treated with professionalism. You're going to be treated with respect from the people who are reaching out to you because they're coming to you for answers, because you obviously have something that they need, whether it's knowledge, skill, or anything else. So, that's number one. Number two is, you're going to want to learn how to rank your content and generate the leads, which means, offering the people who visit your content something free in exchange for their contact info, preferably, a number. What I opt to do is collect just the email address in the beginning and then, either through email followup sequences or through other links in sales funnel processes, ask for the number. I don't like to ask for the phone number upfront, simply because it drives conversions way down. Every time you add a field to a form, it drives conversions down, because they have to enter one more thing that they're not likely to enter. So, if you ask them to leave their name, and then you ask them to leave their email, and they leave it, that's one micro-commitment. They commit one little step to you. Then, you begin to have that conversation with them, whether it's by email, Facebook, social media, whatever it is. They begin to get to know you as they consume your content. Then, you can begin to ask for those other steps, those other micro-commitments, like their phone number. Now, I'm no longer building in the field. I work with companies on the back end. I work with a good, close friend of mine by the name of Kosta Gara, who owns Gara Group. Our company, Elevacy, does a lot of work with them, and we help leaders in the industry and stuff with marketing and things, sales funnels, and things like that. But, if I were building in the field again, and we built an organization on hundreds and hundreds of reps, okay, so we're no stranger to it. But if I were back in the field again, what I would do, the approach I would take, is exactly the one I'm telling to you now. I would set up my lead magnet, whatever that lead magnet's going to be, and then I would collect their email, and then through follow up sequences, guiding them to webinars via the email, or guiding them to social media to reach out to me, or guiding them to give me a ring, or whatever it is, I would add or … via text messaging, right? If you have an auto-respond or a chat bot, whatever the communication medium is, you ask them to take that step after you already have the asset, which is their name and email address. That's the micro-commitment process if you want to get them to engage with you and join your business. The approach would be a little bit different if I was building in the field, because if I was building in the field, I would be selling one of two things. I would be selling the opportunity of passive income, building a business, retiring, traveling the world, all that kind of stuff. Or, I would be selling the benefits of the product or service my company represented. So, if my company represented a health supplement to fix back pain, I would talk about that. Or, if it sold luxury travel all around the world, I would talk about that, and I would ask for reciprocity in the form of communication, if people listening to my messages were interested in that sort of thing. I would go after one of those two things, based on whatever it was for my content delivery schedule for the week, and there's a lot of tools that can help you with that. If you're a little confused about, “Well, how do I do content? I've got a job and I'm working 80 hours a week,” and everything else, you don't have to worry about it. You just have to find a small block of time, and then use a tool like Hootsuite or something like that to auto-syndicate, auto-schedule your posts and your content for you. You set up a block of time, two hours or one hour in a week, or whatever, to type out your content for the whole week, and then you set it up, schedule it, to go out. I think Hootsuite's a few bucks a month. Maybe it's 10 bucks a month now, or something. I don't know, but a very simple process. When you blog, just keep those things in mind. You need to have good design. Our staff at Elevacy can create you an incredible network marketing blog if you don't have one. If you do have one, and you're struggling with it or whatever, we can help you with that. If you want to figure it out on your own, no problem. Use WordPress and use a theme like OptimizePress 2, because OptimizePress 2's just drag and drop. It's real easy. 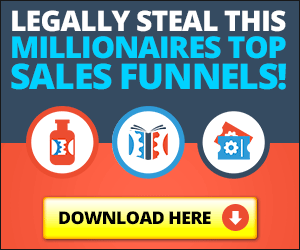 We'll include a link here in this article, but ClickFunnels, by far and away, is the number one software out there. It's third party, but we use it even for our clients to build sales funnels. It's very, very simple to do. You can custom code things if you know how to do that sort of thing. You can really bend it to your will, but the power of ClickFunnels, I can't overstate it, it's so good. Russell Brunson, the owner, has done an incredible job with that platform. Really, that's all you need. You need WordPress, you need OptimizePress 2.0. There's a number of plugins that you can use. Go to Google and type in “what plugin is that”, or “what plugin is this site using”, and there's a website that'll show you. Just enter the URL, and you can see all the plugins they're using, so if you want to use similar plugins on your WordPress site, you can get started like that. You can even look at the plugins that we use. We have 30 plugins we're running on our website at the moment that do a whole number of different things, functionality-wise. The signature block at the bottom of the blog post you see is done by a plugin. The way the containers are set up, the sidebar, the way it's set up, the way the site flows and the logo's laid out, all that stuff is accomplished through plugins. The podcast, right? That's accomplished through plugins on the WordPress site. Make sure you check out all those things. Make sure you consider those things when you're building your blog, or when you're running your blog. Always, always, always include a call to action in every single piece of content you do, whether it's a video or an article or whatnot, and you'll have great, great success. Comment below if you did like it. That's my call to action to you, and again, if you want to take us up on a free sales funnel, our company and staff over at Elevacy will build you a free network marketing sales funnel just for becoming a ClickFunnels member through us.